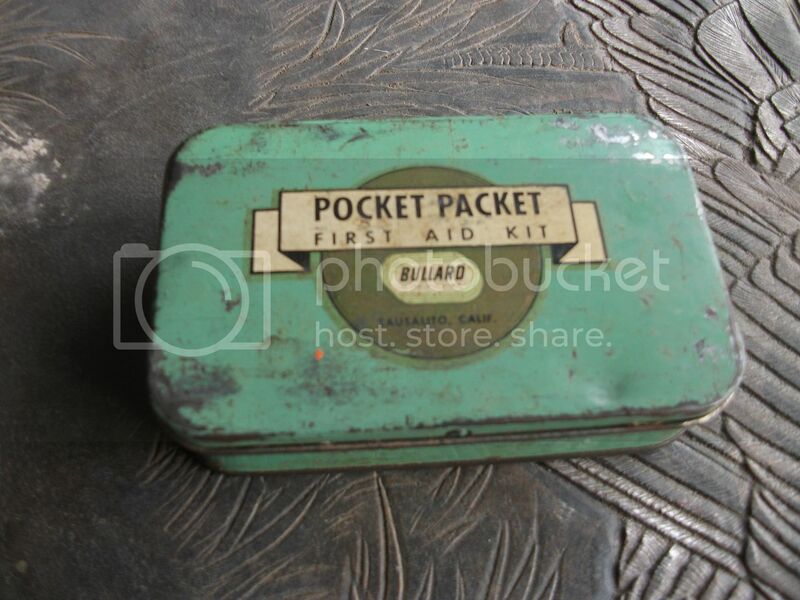 Cool, old First Aid Kit....in a tin about the same as a Altoids tin....from the 1950's or maybe older. Heavy on Iodine, and Methylate (remember that? )...and ammonia capsules anyone seen of use one of these in recent memory? Couple of tubes of sorta first aid ointment a rolled up gauze strip......and a few newer ban-aids, one original Bullard strip. 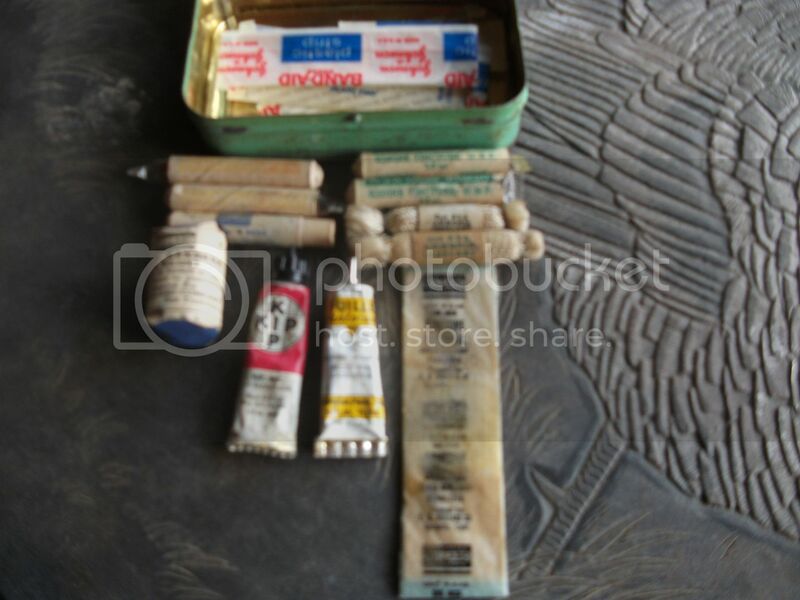 In the mid fifties there were lots of first aid kits at the numerous Surplus stores in the Denver area. 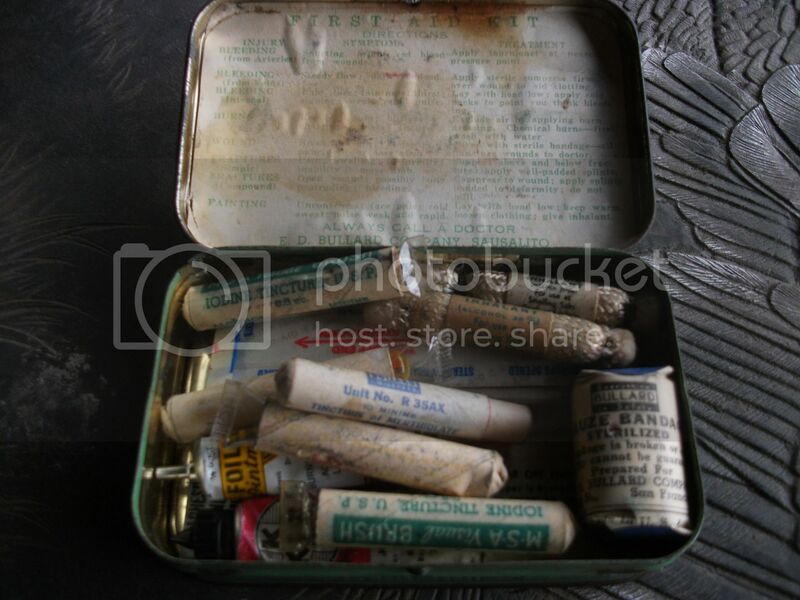 Most of the ones I had, probably two or three, were full of the same type of things but came in a OD green canvas case. There was a metal box kit that was used in some Jeeps but they were too expensive for a ten year old. Ammonia ampules, iodine, bandages, salve of some sort was what I remember. Neat find. Love coming across things like that.